A new study from researchers at New York University reveals that nurses with bachelor's degrees report being very prepared in more quality and safety measures than do their peers with associate degrees. The findings, published in the Joint Commission Journal on Quality and Patient Safety, demonstrate a growing gap in preparedness between new nurses with associate and bachelor's degrees and support ongoing efforts to increase educational attainment among new nurses. In 2010, the Institute of Medicine (now the National Academies of Sciences, Engineering, and Medicine) published "The Future of Nursing: Leading Change, Advancing Health." The milestone report provided recommendations for how nurses can best advance the nation's health and meet the increased demand for care. 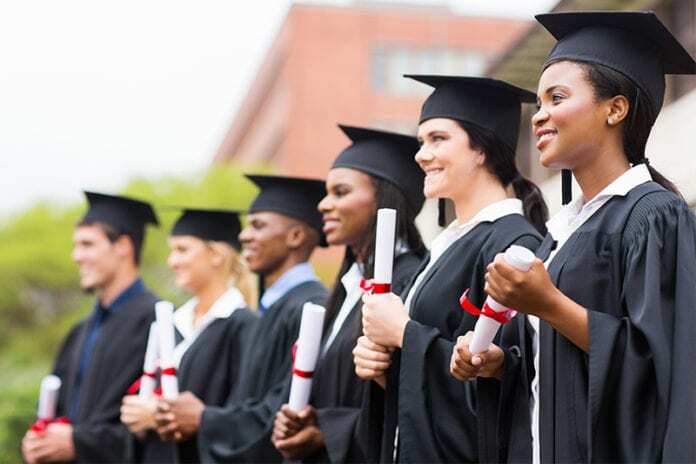 The report calls for an increase in the proportion of nurses with bachelor's degrees to 80 percent by 2020--a recommendation supported by studies showing that nurses with bachelor's degrees have better patient outcomes, including lower mortality rates. "The evidence linking better outcomes to a higher percentage of baccalaureate-prepared nurses has been growing. However, our data reveal a potential underlying mechanism--the quality and safety education gap--which might be influencing the relationship between more education and better care," said Maja Djukic, PhD, RN, associate professor at NYU Meyers and the study's lead author. "Understanding the mechanisms influencing the association between educational level of nurses and patient outcomes is important because it provides an opportunity to intervene through changes in accreditation, licensing, and curriculum." A nursing workforce that is well-prepared in quality and safety competencies is critical for delivering high-quality and safe patient care. However, a previous study led by NYU Meyers' Christine Kovner, PhD, RN, FAAN, identified gaps in quality and safety education between associate- and baccalaureate-prepared nurses who graduated between 2004 and 2005. In their new study, the researchers--Djukic, Kovner, and NYU Meyers' Amy Witkoski Stimpfel, PhD, RN--examined quality and safety preparedness in two additional cohorts of new nurses who graduated with either associate or bachelor's degrees in 2007-2008 and 2014-2015. They surveyed more than a thousand new nurses (324 graduating 2007-2008 and 803 graduating 2014-2015) from 13 states and the District of Columbia, asking how prepared they felt about different quality improvement and safety topics. They then analyzed the differences in responses between nurses with associate and bachelor's degrees. The researchers found significant improvements across key quality and safety competencies for new nurses from 2007 to 2015, but the number of preparedness gaps between bachelor's and associate degree nurse graduates more than doubled during this timeframe. In the 2007-2008 cohort, nurses with bachelor's degrees reported being significantly better prepared than nurses with associate degrees in five of 16 topics: evidence-based practice, data analysis, use of quality improvement data analysis and project monitoring tools, measuring resulting changes from implemented improvements, and repeating four quality improvement steps until the desired outcome is achieved. For those graduating in 2014-2015, nurses with bachelor's degrees reported being significantly better prepared than associate degree nurses in 12 of 16 topics: the same five topics as the earlier cohort as well as data collection, flowcharting, project implementation, measuring current performance, assessing gaps in current practice, applying tools and methods to improve performance, and monitoring sustainability of changes. The researchers note that laws and organizational policies encouraging or requiring bachelor's degrees for all nurses could close quality and safety education gaps. For example, New York State recently passed a law--the first in the country--requiring future new nurses to obtain their bachelor's degree within 10 years of initial licensure. Employers can also effect change by preferentially hiring nurses with bachelor's degrees, requiring a percentage of the nurse workforce to have a bachelor's degree, or requiring nurses with associate degrees to obtain a bachelor's within a certain timeframe as a condition of keeping their employment. So...what do you think? Share your thoughts in the comments below. I was a graduate of a BSN program, at a highly-ranked university in North Carolina. I thought I was very well prepared to come into nursing practice. I thought I was a notch ahead of any AD program. In reality, I am not sure I was as prepared as I thought. I worked with a mixture of ADN and BSN graduates from other programs. We all needed supervision, guidance, and support, until we got more experience under our belts. I believe that there is a culture that prevails in many BSN programs, that leads the students to believe that they are better educated and better prepared than ADN students. I have been a nurse educator in an ADN program for 22 years. Our program is rigorous, and our NCLEX scores are as high or higher than many BSN programs in our state. Our students understand QSEN competencies. Contrary to some of the comments, above, our program does not produce dangerous, unsafe, poorly prepared bedside nurses. The majority of our graduates pursue BSN degrees within 5 years of graduation. We teach our students to think critically, and to be able to deliver safe, competent, and compassionate nursing care. They understand how to work in a team setting, and in an interprofessional team environment. Our program is located in a rural part of North Carolina. It presents an educational option to adults who have families and obligations that prevent them from seeking education outside of their communities. One size does not fit all. I agree that accreditation processes need to have very high benchmarks. But, I think your study is flawed. It is a subjective measure. I can be convinced that I can fly a plane after two lessons, if the right influence is brought-to-bear. I have an associates degree in nursing. I do not think that a BSN is better. I also do not think it should be a requirement to get it either. It’s not fair. I can’t afford to go back and get that. Also, I have had to train/ orient several BSN nurses in my career and have had to educate them on medication side effects to look for, brand name/ generic names for medications. I had very “old school” teachers were I trained at and they engrained that stuff in our heads. It’s very important to know that for certain meds you need to know for example, someone’s pulse before giving it, so it doesn’t go lower, it needs to then be held/ not given. It’s amazing to see some of the common sense stuff or nursing judgement type stuff that they do not know. Some of the greatest nurses I knew and looked up to were actually LPN’s. So no, I do not think a BSN is better. Just some letters and more expensive. Simply stated, if a BSN is to be required than it needs to be worth it. I have an ADN and have practiced for 25 years. The caliber of young, wet behind the ears nurses I am meeting with BSN and Masters have no experience clinically. Schools are terrified and have put all there efforts into pumping out “corporate” nurses. AI is here now and it is here to stay. Welcome to the Jetson’s era of healthcare, our jobs will soon be phased out on a very large scale. That is really the heart of the issue. Lets consider what will happen if you increase obstacles to becoming a RN. Increasing the degree qualifications required for entry to nursing as an RN will only INCREASE the nursing shortage. That may lead to higher wages for those in the field, but also harder shifts with heavier patient loads. That will not help patients have better outcomes. I graduated from a diploma program & agree they are the best. I worked with BSN students that were graduating in 2 weeks. They had never given more than 1-2 injections, had not started IVs, had not inserted a urinary catheter, NG tube etc. I think there have been improvements in the BSN programs. The BSN program doing clinicals @ our hospital was on probation due to poor state board results. The diploma programs consistently had better state board scores & functioned better in a clinical setting. I learned so much in our diploma program & feel sorry for the graduates that were unable to have the same experience. We had 3 months experience in psych, 12 weeks in the OR/PAC, & all other nsg. disciplines. The healthcare industry needs to re-visit msg education. I agree with this article 100%!! Infact we are only profession whose entry level is ADN …I’m hoping more states and cities will follow suit of California and gravitate towards BSN only! FEW NURSES WHO COME OUT OF SCHOOL TODAY ARE PREPARED CLINICALLY. AS A NURING SUPERVISOR I CAN SPEAK FROM EXPERIENCE. MOST NEW NURSES WALK ONTO THE FLOOR LIKE A DEAR IN THE HEADLIGHT, AND BARELY MAKE IT PAST THE FIRST YEAR. THERE A FEW EXCEPTIONS, AND THEY TURN OUT TO BE REALLY GOOD NURSES. SITTING IN A CLASSROOM IS ONE THING, EXECUTION IS QUIT ANOTHER. I HAVE INTERVIEWED NURSES FROM, WHAT ARE CONSIDERED TO BE THE TOP NURSING SCHOOLS, AND I COULD NOT HIRED THEM BECAUSE THEY COULDN’T FORMULATE, OR PRIORITIZE, A BASIC PLAN OF CARE FOR THE SIMPLEST OF MEDICAL CONDITIONS. THE BEST NURSES COME FROM THE SCHOOLS OF NURSING WHERE THEY PROVIDE SIGNIFICANT HOURS OF CLINICAL PRACTICE EACH WEEK. This is the most accurate statement I have read so far! I have ADN. I work and precept many RNs with BSN. What I see that they are faster typing their notes on computer. I never met one who who came with great critical thinking skills in Nursing .I had to walk them trough how to think critically as a Nurse, as I was at some point helping my baby daughter walking. Great nurse come from whitin and experience! I also work with many nurses with Masters degree. None of them are better nurses then nurses with ADN, or BSN. If you don’t like your patients, or bedside nursing in general , it shows no matter high high is your degree. Also , ones who went and got BSN after many years of working as a nurse, stated that was waist of time and money. I’ve read many of the comments and many leave me shaking my head. From many of the comments, there is far too much of “us vs. them” mentality and that will never advance our profession. I was initially schooled in an ADN program 32 years ago and a few years ago completed my BSN. And while my ADN education carried me far and I was part of many exciting experiences, the BSN degree opened even more doors. Best decision I ever made! Many complain that all they did was write papers. And while that is indeed true, they seemed to have failed to understand the bigger purpose of such exercises. From writing a lot of papers myself, I became a far better communicator, developed much improved critical thinking skills, and was introduced to evidence based practice on a level I had never been exposed to before. I certainly believe we all would want to be better in these arenas. Ultimately, I am certain we all can agree that healthcare is more complex than ever and our patients have the highest acquity we’ve ever seen. For sure, patient demographics have changed considerably in my over 3 decades as a RN. As such, it is going to take a highly educated workforce to address the medico-social ills of the current broken healthcare system and the needs of highly complex patients. We need a highly educated workforce with exceptional critical thinking who can shape future healthcare with out of the box thinking. I firmly believe advanced education equips us to accomplish these noble causes. I will close with this word of encouragement; move forward with your education and milk it for every morsel you can. After all, how often do you hear someone in nursing complain that they have too much education?? I so love your response. It is valid and on the point. I started as CNA, LPN, ADN,BSN, and graduate with MSN in June. I don’t regret the fact I took the stairs instead of the elevator to get to where I am. Yes it was a long road. I have been in nursing for over 22 years. With each step, with each certificate, diploma and degree I learned to be a critical thinker and a better nurse. As an ADN, I worked as a Nurse Manager which exposed me to budgets, senior leadership teams and projects. This lead me to my BSN. ADN for me, prepared me for the bedside, BSN prepared for administration, and MSN will prepare for advance practice nurse. Keep limit setting yourself. You will find that when a job is available ADN vs. BSN. The BSN will get the job despite years of experience you have as ADN nurse. I have been a witness to this too many times. You limit your advancement in your career, your income, and your worth. 2 1/2 years vs 4 years. 4 years is more exposure. Staff floor experience is where one really learns to be a good nurse! That said, a truly good nurse comes from within. Not every student nurse is destined to be a good nurse. It’s just not in their make up! As a diploma prepared RN, I have had a very good career. I think diploma prepared nurses have far more clinical experience as new grads and are much more ready to “tackle” the job of an RN than their ADN or BSN counterparts are right out of school. I did start to work on my BSN later in my career, and I found a lot more “BS” than “N”. The History of Rock and Roll was certainly going to make me a better nurse. Those were the types of classes required for a BSN. Fine and practical arts and a lot of courses that required writing useless papers and history courses was what I had to take to complete my BSN. I found it to be a complete waste of time, energy, and money. I received an ADN 14 years ago and have recently started a BSN program in order to obtain a charge nurse position. I find the knowledge I am gaining in the BSN program is a bird’s eye view of nursing and healthcare while the ADN program was mostly about the clinical aspects of nursing. The knowledge obtained in the BSN program is not imperative to performing the duties of a staff nurse in a hospital setting. I was very fortunate to have attended a very arduous ADN program. I do notice that new graduates do seem to lack some basic knowledge and critical thinking skills. I don’t have enough information to suggest that this a problem with particular nursing programs or if it has more to do with individuals and their commitment to schooling and the nursing profession. The trend in nursing seems to be more technology, less nursing judgement and less autonomy. Perhaps we as a profession need to evaluate the nursing role of the future and design education programs to fill that need. If all nurses are on a path to leadership, who will be available to care for the patients? Why not do it all- an ADN with an RN and then ARNP? There is no substitute for experience + advanced training. I’d rather have someone treating me with all that in their tool kit! The bottom line is this is poor research design which does not measure the dependent variable, since the researchers used student self-report to measure preparation. Self report is notoriously inaccurate and requires insight, knowledge and experience. As a long time nurse educator, I am far more comfortable with a new nurse who questions whether he/she has a true understanding of safety, versus an overconfident graduate who will then make errors. In my experience, new nurses have no idea how they are functioning, and multiple research studies that poll the nurse leaders that hire these graduates support this. If you want to convince me, measure the identified nurse competencies required for a new nurse and have the employers rate how these new nurses are functioning, while comparing their educational background. Then I might be able to accept these findings as valid. I strongly agree and very well said! Thank you! I have to agree with this post. As a 20 year ADN, I questioned the reserach design and the length of experience/ variety of clinical settings in the group studied. I have a great deal of respect for advanced degree nurses, and wish I was in a position to complete my BSN. Something I have learned in my patient interactions, though, is that technique is 90% of it. Carry on and keep fighting the good nursing fight! I agree! Of course a new nurse will say he or she is better prepared; they don’t know how much they still need to learn when they hit the floor running. I received my ADN in the late 70’s….Nursing has changed immensely! The Nursing Process hasn’t, & that’s what the BSN nurses appear to think they get more exposure to (read the items listed in the article, starting with data analysis….). That was drilled into our heads! It’s not inherent to BSN programs. I’ve seen many a BSN grad nurse who was great at e-charting, communications, care plans, but technical skills – hands on – still needed guidance & tweeking. I’d like to see what Nurse Managers say in their observations about BSN vs ADN competency. Amen to that. Qualitative studies are notoriously biased. I have found many institutions now are quickly churning out BSN nurses with little clinical experience. They are spending a considerable amount of time in some simulation lab rather than in clinical with a live patient. As a RN who initially received a diploma in nursing I disagree with the nurse who said that diploma nurses are not taught critical thinking. That was covered in our program as well as EKG interpretation. Later on I got my BSN and it consisted mainly of writing papers, lots of papers. I had more options with a BSN and it was a requirement for a charge nurse position in the health care system for which I worked. With my BSN I was able to be promoted to charge nurse. However, I have worked with many wonderful nurses who have an associate degree or a diploma. A large part of nursing consists of intelligence, common sense and a true commitment to helping people and these qualities can be found in nurses of all levels of education. I would also like to mention that I found the remark that AD and diploma nurses do not have “ the insight or will” to crave knowledge and pursue additional education very demeaning. No one can make a blanket statement like that. One reason that nurses don’t pursue higher education is the cost and time commitment involved. Another demeaning remark was that BSN’s “stand aside and won’t get their hands dirty.” Another unfortunate blanket statement. As a BSN I have gotten my hands—or rather, gloves—plenty dirty and so have the other BSN’s with whom I have worked. I would say we need to look at this study very carefully, first it was completed by a University, therefore there is bias in the project. 2nd they asked the OPINION only of these BSN and ADN new grad nurses on whether or not they FELT prepared in key safety measures. They did not do a knowledge test on them to actually see who was better prepared in safety. 3rd if there really is a discrepancy in patient Safety outcomes in the practice of ADNs vs BSNs then the solution is NOT to require everyone has a BSN (which is not financially viable—especially when we aren’t getting raises when we get our BSN). The solution would be to assess the curriculum of the ADN progress and require certain increases in safety content. In fact it seems to go along with everyone else’s experiences (as well as my own—I am a certified preceptor). That the opinion of many BSN graduates is that they already know everything and have little to learn outside of just “how this hospital operates”. So it would corroborate the study, which only shows that they have a higher BELIEF in their skill set and knowledge. Which doesn’t seem to be substantiated by the rate of failure of the NCLEX and their lack of preparation to do actual nursing care. And the fact that ADNs are reporting being less prepared is actually a sign of their knowledge that all nurses have only learned the bare minimum in school and that real world experience and time is necessary to be a FULLY capable RN. So I find their ability to admit and the awareness of their true capacity to be invaluable. They are much more teachable if they don’t think they know everything already. The main difference in the programs is that a BSN gets an extra year of management training on top of their clinical work (which is significantly less than most ADN programs), sim lab work (again significantly less than most ADNs) and their core nursing curriculum and prerequisites (that are the same as ADNs, however test scores show that they may actually also be inferior to the ADN programs). You learn the same critical thinking skills in ADN vs BSN, so the lady that meantioned that is misinformed. It was driven into us and coached and exercised, and tested at EVERY step of the way. I was the President of our Student Nurses Association at my school and Breakthrough to Nursing Officer on our State Student Nurses Association. On that state Board I was very close with many BSN RNs who confided their lack of confidence in the training they were receiving. They didn’t know many of the critical RN curriculum that I knew, they had very little clinical or sim lab experience, and felt that I’d received a much more superior education and were disappointed in their choice of school. And the hospitals and managers in the area agreed. They said ADNs were much safer and significantly better prepared to actually work as a nurse than their BSN new grad counterparts. It wasn’t until hospitals started getting money from the government for being a MAGNET status hospital (which requires a certain percentage of BSN RNs) that any hospitals in my area would hire BSNs over ADNs if all else was equal. I received my ADN because I wanted to have a solid knowledge base in the medical field before I went off to Med School. I had a family emergency that prevented me from med school, but I still became a highly skilled RN with many certifications, and I teach and educate RN and MD staff now as well as have my own private practice, and I know countless others who are also extremely well educated without getting a BSN, so the idea that ADNs aren’t driven or don’t pursue higher knowledge or education is unfounded. And also, MANY RNs love and feel called to “just be a nurse”. So there is no reason for them to waste money, time and energy getting a higher level of education if they want to stay in the same career. There are soooo many other holes in the article, but to me these are the main points. Leave to diploma nurses to talk and think so sub-intelligently about BSN prepared nurses. It takes intelligence and a strong GPA to get into a demanding university nursing program, unlike community colleges that take anyone and everyone and train them to be nurses without further education towards a bachelors degree. BSN nurses have very good critical thinking skills that will develop 6 months into the job because they are too busy getting higer education to be leaders and educators down the road. Yes, I agree that diploma nurses have better clinical skills but only at the start, then after about 6 months the BSN nurses surpass them in all aspect of nursing delivery and care, including critical thinking skills because they are taught how to intelligently and critically think through a situation unlike the diploma or ADN. Not only do BSN degree nurses increase professionalism and intellect to the nursing profession they also disminish the profession’s stigma as a trade occupation. Trade occupations are not degree prepared entities; furthermore, employers who want to hire BSN prepared nurses are looking towards a more professional, progressive and intelligent workforce. I am a degree prepared nurse and now a nurse practitioner, I am currently completing my doctorate degree in nursing. The reason for my further education: it started when I saw myself going through a BSN program, having that crave for knowledge has led me down the road I am in now. Diploma and ADNs do not have the same insight or will. Ms/r Bergen – Diploma/ADN nurses do not think sub-intelligently. Everyone and anyone does not graduate. My first rotation and first day I finished my assignment and went to help my colleagues. I had been a CNA for 7 yrs and that’s what you do. The instructors heard and rather than congratulate me for being a team player, challenged me. From that day forward, I had a 5 patient assignment. I researched all the diagnoses, meds, treatments, created care plans for each, and generally busted my fanny for two yrs. I also worked FT in a Hosp-based LT respiratory unit 11-7. 40 trachs, 3 iron lungs, 25 vents, 1 RN, 1 LPN, 2 CNAs. I picked the brains of anyone who would take the time to speak to me – nurses, drs, resp therapists, etc. My education was self-directed and no joke. My program enrolled 150 students and graduated 73. Only 5 dropped out; the rest were bounced out. We all passed our boards first time with the highest score ave in the state. We were not trade school nurses. We were the cream of the crop. Wow. I am an ADN and also hold a bachelor degree in business. It is my opinion that nursing is ever so light on science, and far too heavy in “art”, which is why I knew a BSN would do little to serve my quest to be a better nurse. I took the same boards as the bachelor prepared students, and passed. In my opinion, nurses don’t belong in management or teaching positions unless they hold degrees in business, management or education. As a business major, I’m sorry you got roped into believing your abilities are superior based holding a BSN. Financially, it makes no sense. I totally disagree. I am currently finishing up my BSN , but my mother has been a nurse for 30 years and as associate degree from a community college . She is a charge nurse with an extreme amount of knowledge and experience. I have professors who never worked in the field really and just got their NP or DNP and started teaching. In my opinion this is a disadvantage to me as a student because they lack experience. A degree only goes so far, on hand experience is key. M. Bergen – how rude can you get to your colleagues? You’re exactly why we need to stop the ADN vs BSN issues & work together! Our ADN program had a waiting list, & over half the class dropped out. I already had a degree frim another college to teach, & by the time I finished Nursing school I had a 4.0 GPA. I’m sure I passed the same boards as you (in 1979 they weren’t computerized: 5 exams over 2 days) so you can’t say I’m not as smart as you. Nursing Process, scientific principles, critical thinking are drilled into all of us. I went on to get my BSN, CNOR, & also was a full-time Paramedic for 10 years at the same time. Talk about the ability to think & make split-second decisions on my own: my “critical thinking” training way back 40 years ago made me the best Medic & RN I could be. There are a lot of us ADN’s who are every bit as competent, & a lot more experienced, than most BSN’s coming up. But again….we are colleagues & need to work together toward the same goal: excellent patient care. There’s no reason, M. Bergen, to be condescending to us. Be part of the team, not the wedge between us. My DIPLOMA program left me with more clinical hours than most BSN programs in the state and a 60 hour preceptorship on a unit of our choice. I’d rather have the hours of experience on the floor than the extra letters behind my name! Perhaps part of the question should be why nurses leave the profession in less than 10 years. As a former nurse who practiced for 34 years, I would rather have anyone but a new grad BSN care for me if I were in the hospital. Why would we expect nurses to spend the money and incur significant student loan debt, if the likelihood is that they will not be practicing in 10 years. Looking at the metrics of the study, it seems to me that they were pretty much looking at non-bedside categories of nursing: flowcharting, data collection analysis, project implementation and monitoring, etc. The study was skewed toward BSNs because that’s what they spend a lot of their school time doing. My patients are not their data nor are they projects! ADNs get a little of that type of education, but we’re mostly at the bedside in the hospital doing total patient care (starting the first term of nursing school) and learning practical stuff about pathophysiology and pharmacology. As soon as I saw what they were measuring, my first thought was, “Ridiculous! No wonder the BSNs came out on top!” I’ve heard it said at my hospital that they prefer ADNs over BSNs because ADNs are better prepared to be a hands-on bedside nurse. I’m not meaning to talk poorly about BSNs, but it does get my hackles up to see ADNs disparaged. Any nurse has the potential to be compassionate skilled caregiver and vocal patient advocate. I just wish we weren’t judged by our level of education; our quality of patient care is what matters. I have my BSN so that, as a traveling nurse, have more access to areas that I want to go; however, my Diploma nurse training developed who I am as a nurse while the BSN is more in research and paper writing. BSN programs are overrated and I agree that the newer workforce of nurses ignore the basic skills which with experience make you practice “best nursing.” Inexperienced BSN nurses are encouraged to move through the ranks fast and become Nurse leaders, managers, advanced practice nurses. This foolish and this is what makes nursing look less professional. These studies mention nothing about grinding experience. Learning hands on is the greatest teacher. As far as safety. A focus on personal responsibility needs to be addressed. These new grads rely on Policy and procedure to guide them and this leads to malpractice. Not understanding what your doing but trusting in policy to be best practice scares me. Advance practice RNS should have a minimum of 10yrs experience in the area of there choice. Stats can be manipulated into whatever you want to reflect. I don’t need bus studies to sway my opinion. Also, please don’t even try to argue that an online RN-BSN program would make any diploma/Associate degree a better nurse. It’s obvious its all about the money for these institutions and what drives this bogus trend……………bogus research. I would work in a facility that focused on experienced nursing vs advanced degree inexperience. You’re so right. They know nothing and barely pass the board exams. They have to take it several times. I was ASN trained before advancing and I know the value and worth of the ASN nurse. Karen, you are correct in your assessment. I am a diploma trained nurse and practiced as such for many years, and was good at what I did before reaching the MSN level. I did so by completing a BHS in management. As a diploma nurse, I was able to function and had a clear sense of what was going on around me. My diploma program provided me with the skills to recognized signs and symptoms in its early stages, thus preventing my patients from crashing. It thought me to think and ask questions about my patient that allowed me to anticipate their needs early. Yes, there is merit in a BSN program which goes further to teach you how to use data to support patient care and find alternative ways of looking at a problem and caring for patients. In the final analysis, ASN and diploma nurses are great at caring for patients and when compared with the new BSN, the ASN eventually end up being the better patient-focused nurse while quite a few BSN go on to be clueless managers. This study must have been done by a University. This is total hogwash. Universities churn out thousands a year with useless degrees that can’t obtain employment while the skilled labor jobs go unfillef. Keep pushing that BSN required degree and see how many of those bedside positions are filled. I’ve worked with great 2,3,4 year degree nurses. Personal effort, passion, genuine care and commitment cannot be bottled into a program. Perhaps a bigger question and concern should be the elimination of RN’s from the provider practices. The MA (medical assistant) is not nearly prepared enough for the pt care handled in the office settings. Through no fault of their own….the majority are just not equipped with the knowledge base or critical thinking that is required to avert disaster for many of the patients they serve. I agree. It’s BS. Best practices comes from keeping yourself up to date in the field. Read extensively! Safety comes from adequate staffing, critical thinking skills, and checking your patients, not the alarms and machines. As an ADN nurse with 40 yrs in and 2 national certifications, I have precepted BSN nurses in several fields of practice. Every single one announced (s)he didn’t need to perform any of the skills I offered them. They were all going to be managers! I would walk them through the numbers (1 chief, many, many peons), but they couldn’t be swayed. Each was going to be the special one. I’ll take an ADN/ diploma grad any day! I would agree with Debbie. I have and ADN. My school of nursing required 2 full 8 hour shifts a week for our clinicals. When the hopitals in New York hired nurses they wanted graduates from my school. ADNs pass the Boards the first time. BSNs have a much lower passing rate. I would not want to be the patient of a nurse who’s ambition is to be a manager, and hates working at the bedside. What your students don’t realize is that managers are sometimes called on to assist at the bedside during times of crisis. Then,how will they function. reported to the school and dismissed from the program. Give me an ADN anytime. By the way, I did go on to get a Masters in Health Education, but only after 26 years as an ADN. It’s typical for proponents of BSN entry minimum requirement to put forward this type of article. The fact is in 30 years of practice I’ll stand with the diploma and associate degree nurses every time. I don’t need some one who doesn’t want to get their hands dirty or who lives to supervise. There is a nursing shortage. Let’s get real people! Do a study on demographics of ADM vs BSN. In my market, most ADN have previous nursing field experience and get more hands-on experience through school. BSN tend to be younger with less real-world experience and less clinical experience in school. Stop classifying & judging nurses by the level of degree and start accounting for their individual ability. There are tons of high-degree nurses who don’t know the first thing about actually providing best care for patients but they sure can write papers about it and sit on committees to qualify it. I disagree. I have an ADN. We all have to start the same way in a new job, and learn the same way; on the job. You don’t get a head start just because you have a BSN; it’s a level ground. I agree that a person has to have a calling to be a good nurse but the change is coming like it or not. I tell people it the hardest yet most rewarding thing I have ever done. I encourage all of my people to continue on for the higher education if they are seeking an ADN as their entry into nursing. Stepping through the process is a great way to learn and become a well rounded nurse. I started with a BSN but worked on a busy floor as an extern while in school as my entry into the profession. I have known RNs who have started as paramedics and continued through to their LPN, ADN, BSN, MSN, and even DPN. At my facility, we now have an internship to help nurses gain experience on several different floors. The internship lasts for a year and the nurses enter the fulltime workforce very prepared to be the best RNs they can be. I started as a Lpn,then went back fo my RN from a Assiciate Degree program.I worked as a Lpn while I was in school and the clinical skills that I learned during that time were so valuable.I then received my associates degree and did very well on My state boards.I just retired last year after 5 yrs.as a LPN and 42 yrs.as a RN.There were no programs years ago to obtain your BSN like there are now for RN’S.I was raising my children and putting them through college.The programs were also very expensive and I would have never recouped the money that I would have to spend to get my BSN.The hospital where I worked at now has a very good tuition program and will work with young nurses to help them obtain their BSN.I just hope that everyone realizes how important it is to have a RN at the bedside caring for the patient.We older RN’s also need to impart our experience and take younger nurses under our wings and encourage and mentor them.I am so proud to have been a RN for so long.I am really enjoying my retirement. I agree that Nurse staffing levels are too low. What do you intend to do with all the LPN’s? I guess they’ll become the CNA’s. ADN’s are just as qualified as any BSN and maybe more so because the BSN doesn’t want to get her hands dirty and wants to do paperwork only. Please hire more nurses and don’t be afraid if a nurse hasn’t worked in a hospital for 2 or even 3 years that she’s not up to par. Just think how easy it is to accommodate and familiarize an ADN that has worked for more than 10 years in a hospital environment. Every licensure period they want the nurses to contribute to the education of LPN’s. If hospitals get too picky they’ll really have a nursing shortage. If you ask me there isn’t a nurse alive that comes out of nursing school that is prepared to be set free on a nursing floor. Everyone needs a little orientation and a mentor but the hospitals don’t want to provide that. I think maybe that’s why errors are made and nurses don’t seem to be staying in one place anymore. Again another blanket statement! I got my gloves plenty dirty as a BSN and so did my BSN co-workers! Not one of us “just wanted to do paperwork!” Please don’t judge a whole group like this. That being said, as a diploma RN who got my BSN after many years of experience, I feel that the diploma training is an excellent background preparation prior to obtaining a BSN. I would say the same for the AD RN. I have worked with some amazing AD RN’s and have been impressed with their knowledge base and their skills. In the healthcare system for which I worked for many years it was mandatory to have a BSN to be a charge nurse. I worked in a specialty area, ED, and also needed a CEN to be a charge nurse. That being said, the institution paid for both the BSN degree and for the CEN exam if the RN passed the exam. Since the majority of RN’s are women, and many with children, it is understandable that finances are a big consideration when thinking about obtaining a BSN. If that is your goal, find an employer who will cover the cost and find out whether you can meet the subsequent requirements, for example, those in my program had to commit to working for 4 years at one of the workplaces owned by the institution. If someone wanted to change jobs or moved away then payback would be based on how many more years or months were left to work. In our program, we had to pay for our books and also pay taxes on the dollar amount paid for our education. Taxes were taken out by payroll deduction each payday after the BSN was obtained. Thus, if you find the right system for which to work, a BSN can be doable. I think the most prepared nurses come from the 3 year diploma programs ,which do not exist anymore . These nursing students got more practical experiences and more time spent in each area of nursing. Want to make a difference in the nursing shortage, bring back the diploma programs ! But keep the associates programs also . In this time of shortages , we need all the various schools available for nursing ! As and Associate Degree Nurse who has to supervise and train new BSN Nurses I can tell you now. They learn a lot of statistical data information and how to do flow charts, etc. But know little of patient assessment, understanding diseases and affect on the anatomy and physiology that is required when talking to your patients. Knowing this information allows you to ask the appropriate questions to obtain answers to help the Physician since a time crunch is now a part of each patient appointment. Having a Nurse who starts out asking appropriate questions once a patient has voiced their reason for the clinic or hospital visit is fundamental in patient care and treatment. Exactly, nurses with ADN degrees know how to nurse. Nurses with BSN degrees know how to write a paper about it. You can’t teach caring and empathy. sound like an old back in my day crank (maybe cause I am) but this article equating self reported “feelings?” of preparedness with actual preparedness? Please…. But none are equip to do patients care on day one as the diploma grad. We charge nurses our senior year. Who is planning on paying for the advancement in degree? It’s BS. Studies have shown that ADN students score the highest on the NCLEX, with Diploma second, and BSN third. Diploma RNs are the best clinically since they get the most hands on experience. ADN nurses are usually older and have more life experience. This study also fails to factor in natural ability. Some people are just better at being nurses, because it’s almost like what they are born to do. I know there is a push to get rid of the diploma and ADN programs, but that is a huge mistake. Having a higher degree doesn’t make better nurses. I’m speaking of 20 years of experience in all types of nursing positions from bedside to senior hospital management. And an additional 10 years as a paramedic before becoming an RN. Let’s not forget there is a nursing shortage, and not everyone wants to do a 4 year program. I’ve also seen a tendency for RNs in management with BSN or higher degrees to stand back and ‘supervise’ instead of jumping in and helping get their hands dirty. Even in a suit and heels, I’ve donned a gown and gloves and helped my staff when needed. Whether it was turning a patient, bathing a patient, cleaning up a Code Brown, starting an IV, changing the sheets, whatever, I did it. My higher-degree’d equals would just try to find someone else to help. But hey….hospitals will do what they think looks good. I wholeheartedly agree. Even the most advanced degree does not necessarily translate into the common sense needed to be a Nurse. Preparedness is not only about education but also compassion, relatedness, empathy & being human. I chose to close out the last half of my career as a Hospice Nurse Case Manager because I could bring all of these things into play at the bedside, where I belonged, not in Admin. I chose not to advance my education & have done very well. No regrets here. Nurse staffing levels are too low. Hire more nurses. Please. What do I think? I think nursing has been lagging behind other healthcare disciplines for years in terms of educational requirements. Back in the 1980’s there was a push for the bachelor degree in nursing to be the minimum entry into the field. And where are we? Still having this tired debate. Physical therapy degrees, for instance, require a bachelor degree as a minimum (with a push for many to obtain graduate level work) and their liability and responsibilities are nowhere near the level of those of a registered nurse. I think the associate degree in nursing is outdated and frankly dangerous in today’s healthcare market for various reasons, one being critical thinking skills. At least this is what I’ve noticed. You can teach anyone to perform basic clinical skills in a shorter associate degree program, but there is no time to ask why, or to question. There is no time to teach ethics, or the business end and management issues that are so central to healthcare today. I’m sorry, I had a medical ethics class in my ADN program and Critical thinking was pounded in our heads the entire time. We had plenty of time to ask why. Plus when I got out, I went straight into a mixed ICU with 14 weeks of classes and hands on with a preceptor. My manager was more apt to hire new grads from an ADN program because the BSN’s were only there to go on to CRNA and everyone that started with me, right before me and right after is now a CRNA or a manager.